Currently on Display is our on-going weekly feature investigating the individual works that are included in the show currently on display at photo-eye Gallery. These artist features include the images selected for this exhibition as well as the artists' thoughts and inspirations behind the individual image or images. The featured images this week are: Susumu Takagi as Matsuomaru and Eri Tanaka, Tono Kabuki by Hiroshi Watanbe, 30 Road and Parallel Piers by Michael Levin and Queen by Julie Blackmon. 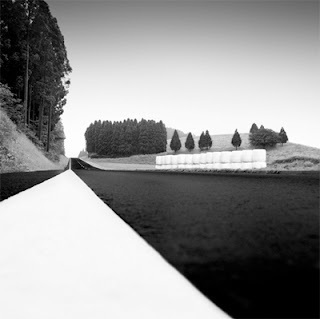 See more images by Hiroshi Watanabe here. 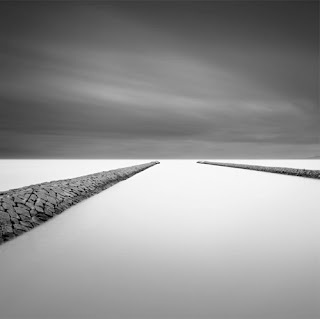 See more images by Michael Levin here. "On this piece, like others before it, my images are largely influenced by Dutch & Flemish painters. In some of my photographs, such as Portrait '09, I am inspired by specific paintings. Such is the case for Queen. 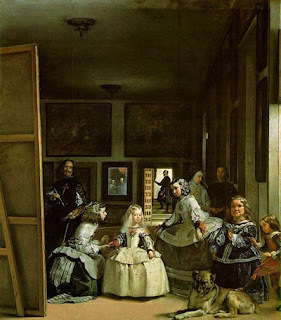 The reference is Diego Velázquez's painting Las Meninas (Spanish for The Maids of Honor). The idea came to me on Halloween. My niece, the little girl in white, was trick or treating as the Princess and the Frog in this outfit. Seeing her dressed like this (and also her very stoic demeanor) reminded me of the young Infanta Margarita in Velázquez’s painting, and inspired me to do this piece." 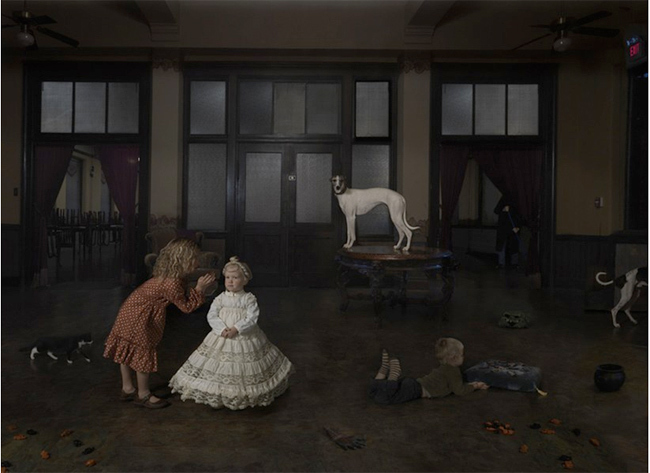 See more images by Julie Blackmon here. Please contact me if you would like additional information or would like to receive email updates about Hiroshi Watanabe, Michael Levin or Julie Blackmon.